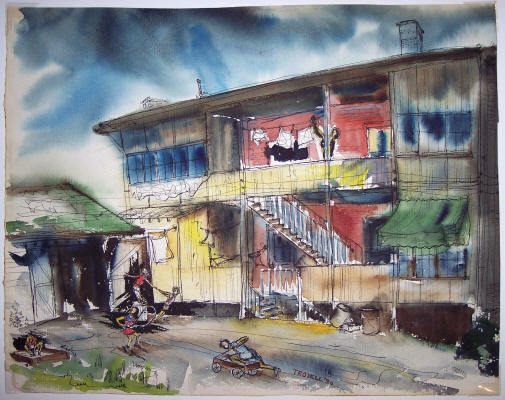 Description: Original signed watercolor. Circa 1950. Very good condition.